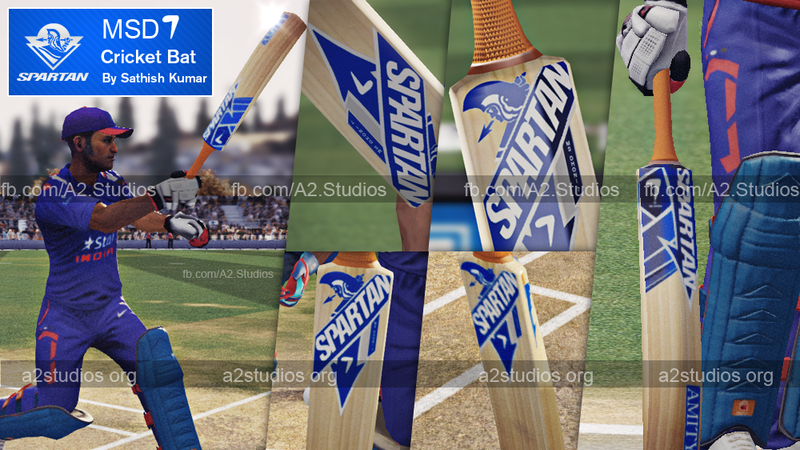 Spartan MSD 7 Cricket Bat Mod Latest Edition for Don Bradman Cricket 14. Download the first Bat mod for DBC14 by PSK, Spartan Cricket Bat endorsed by MS Dhoni. This Bat replaces 'Score' sponsored bat in DBC14. The Bat looks High Quality in game, and treat to watch while playing strokes, drives and cuts. Download link attached. And instruction also posted. Read and follow all the steps to have correct mod in game. Installation Instructions: 1. Extract the textures folder to “Documents\My Games\Don Bradman Cricket 14\” 2.Choose "Score" in Bat sponsor option.